The json response is the same as described by the curl request. To test the following code you can create a new C# (console) project add the following code. This code will work on Microsoft Visual Studio as well as Xamarin. If you run it you will see the “authenticated” or “not authenticated” text in the console. 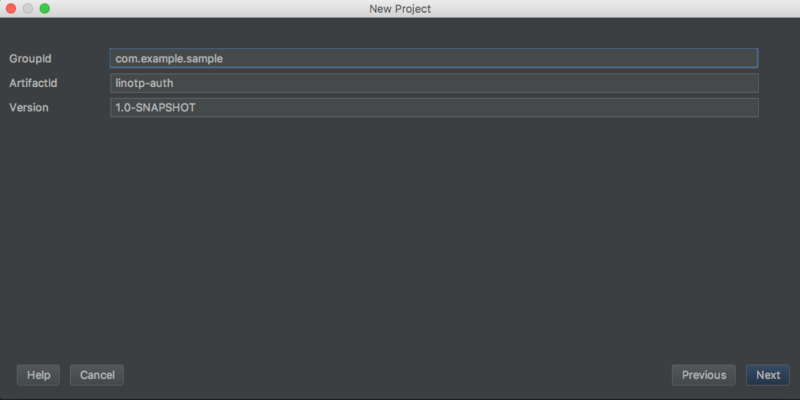 The following code is built using IntelliJ IDEA CE with gradle. 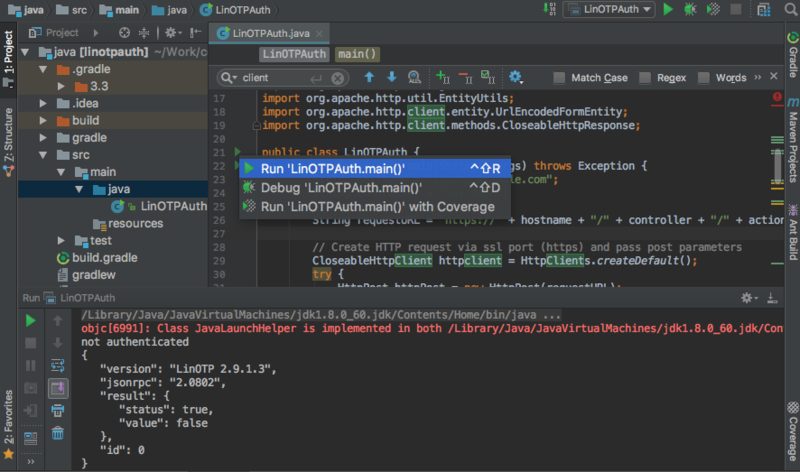 File -> New Project -> Gradle -> Java (hook). 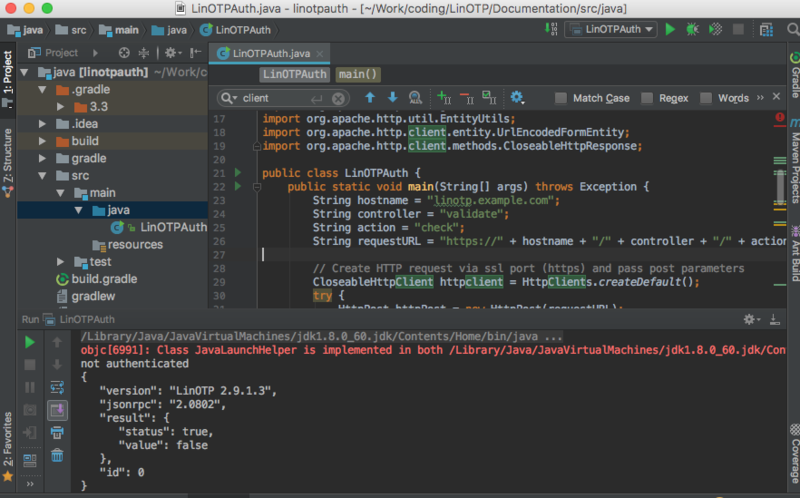 Insert your GroupId (com.example.sample) and ArtifactId (linotp-auth). Hook “Use auto-import” and “Create directories for empty content roots automatically”. Get nodejs from (https://nodejs.org/en/) and install the request dependency via npm command.